Many awoke to the news early yesterday morning that “bad-boy” chef, traveler, writer, New Jersey native, and television star Anthony Bourdain had died in an apparent suicide. 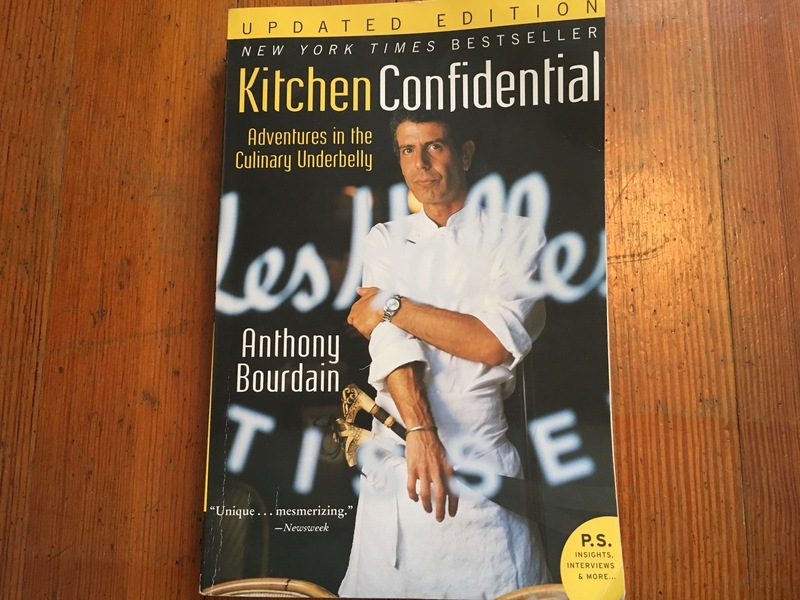 Bourdain was in the midst of shooting an episode of his CNN hit, Parts Unknown, in France, where he was found unresponsive by his friend and fellow world-class chef, Eric Ripert. This was reported just days after the news broke that designer Kate Spade had also passed away from suicide. Anthony Bourdain was unlike any person in the public eye. He was unapologetically honest, incredibly talented, a master of the written word, and unbelievably passionate. He was never afraid to tackle an issue, as he was very outspoken about politics and world events. He championed the fight for truth in the Harvey Weinstein case, which was brought to light by his girlfriend and Italian filmmaker, Asia Argento. He never hid his past, opening up about his battle with drug abuse in his 20s, and was one of the first chefs to candidly speak about what happens behind the scenes in the restaurant business. And it was rarely pretty. Bourdain was a bestselling author, and the creator of many travel and food shows. He brought the farthest corners of the world into the living rooms of his fans. He would sit down and share a meal with anyone, whether it was a grandmother in Italy or President Barack Obama in Vietnam. He was first and foremost a storyteller, and no story was too small or too big for him to share with sincerity and humor. When I was little, Anthony Bourdain’s show, No Reservations seemed to always be blaring from the television set. I would lie on the floor and watch with my dad and my brother for hours at a time, just soaking it all in. After every commercial break, a graphic would appear on the screen warning viewers for explicit content, regarding the foul language that Bourdain was known for. At the mere age of 8 or 9, being allowed to watch the program despite that warning was invigorating. And being able to watch it with my dad and older brother made me feel like I was part of a special club. Anthony Bourdain’s unique honesty made his readers, viewers, and fans feel like they knew him personally. He never shied away from speaking his mind, knowing that he could be making an enemy in the process. He interacted with people from totally different worlds, and made them feel at ease. He traveled to West Virginia and spoke with gun-toting hunters and gatherers from a rural mining town. He spent time in Vietnam, eating street food and speaking to citizens about the Vietnam War. He was unprejudiced and open-minded, yet never ceased to verbally express the wrongdoings of the world and its leaders. This past Monday, I was catching up on Sunday’s episode of Parts Unknown, which was set in Hong Kong. The episode was directed by Argento and showcased Bourdain at his best. He spoke with filmmaker Christopher Doyle about what makes Hong Kong so fascinating. He broke bread with noodle-shop owners, and filmed in fishing villages that are now few and far between. He interviewed Hong Kong residents, originally from all over the world, who sought safety as refugees. But again, no matter the subject, it was all about Bourdain’s storytelling. Anthony Bourdain was undoubtedly someone with a zest for the best that the world had to offer, especially when it came to cuisine. His death, along with the death of Kate Spade, is bringing up an important conversation under terrible circumstances. As many television news outlets reported the story yesterday morning, and throughout the day, they continuously flashed the suicide prevention hotline: 1-800-273-8255. All day, experts were emphasizing the importance of making personal connections with one another, with the hope of being able to understand each other a little better. Anthony Bourdain was a man who went out into the world with the sheer purpose of trying to make human connection. And in doing so, he taught his viewers, including myself, the importance of empathy, and looking to find the best in our fellow person. His connections with others across the world not only made us feel closer to the subjects of the stories he told, but to Bourdain himself. Hopefully, we can learn from the legacy he left and explore the world, eat interesting food, and maybe strive to care for humanity a little bit more.